You would think a few tidbits about coffee would be common knowledge. It is the second most popular beverage in the world after water, and it is also the second most traded item after oil. So it keeps us running and hydrated to a large extent. But most people don’t know where coffee came from, Or what the marketing phrase “Real Arabica” means. Coffee, or Coffea as is the Latin phrase is a small fruit-bearing tree native to Ethiopia. The coffee bean as you know it is actually the seed inside of the bright red or yellow coffee cherries. The fruit is washed, peeled, dried, roasted, ground, and drank… in that order. There are two main species of the plant. Coffea Arabica and Coffea Robusta. Both have caffeine, which gives it the kick. Caffeine is a mild natural toxin developed by the plant as a defense against being eaten since it’s quite bitter. Robusta is more potent but the taste is much less nuanced, ranging from flat to bitter. 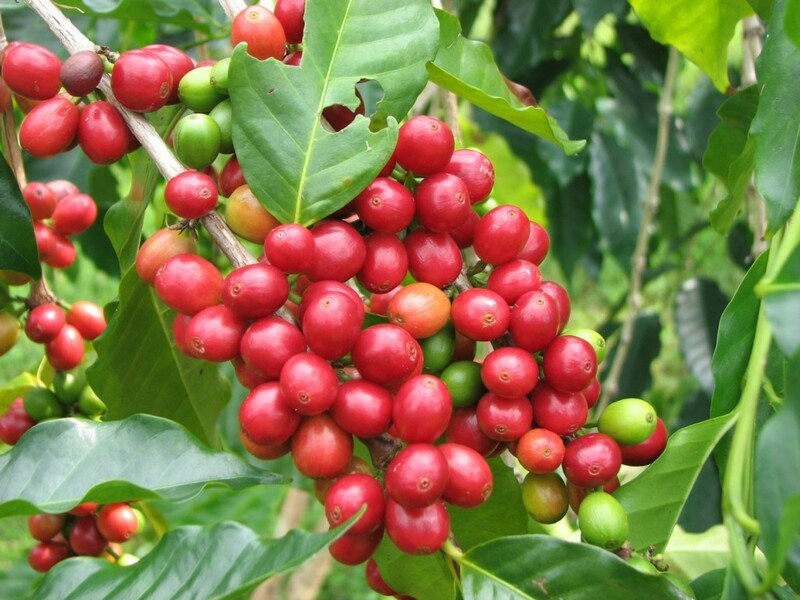 Coffea Arabica is the tastiest varietal and also the most widely used. In some blends, the lower cost Robusta is substituted as filler, and to amp up the potency of the batch. So when a marketer writes “100% Real Arabica Beans” they are just telling you it is normal coffee. The really amazing thing about a plant now grown all over the world is that from its humble start in Ethiopia it has only been cultivated and farmed elsewhere for roughly the past 200 years. And every plant and bean you consume be it grown from Hawaii, Jamaica, or Sumatra can trace it’s lineage back through Paris. 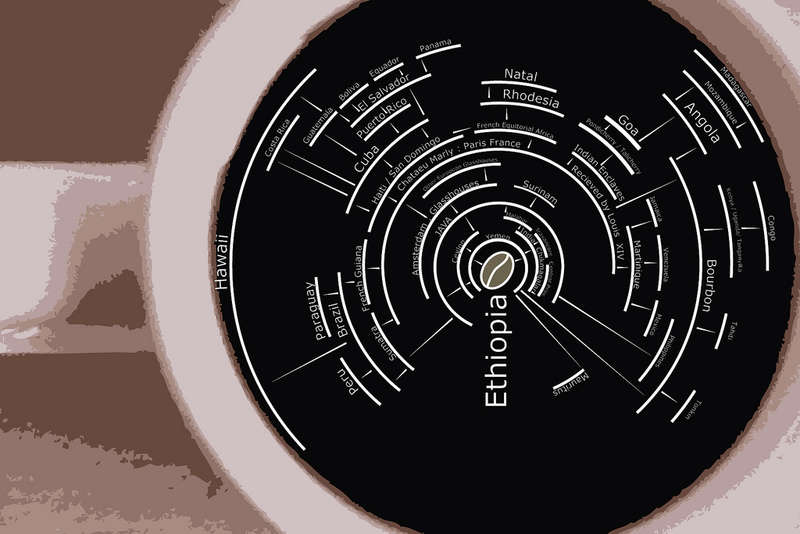 This is an adapted graphic I worked on showing how the cultivation of coffee spread throughout the world. It’s a lot of work that went into making your morning cup of awesome!